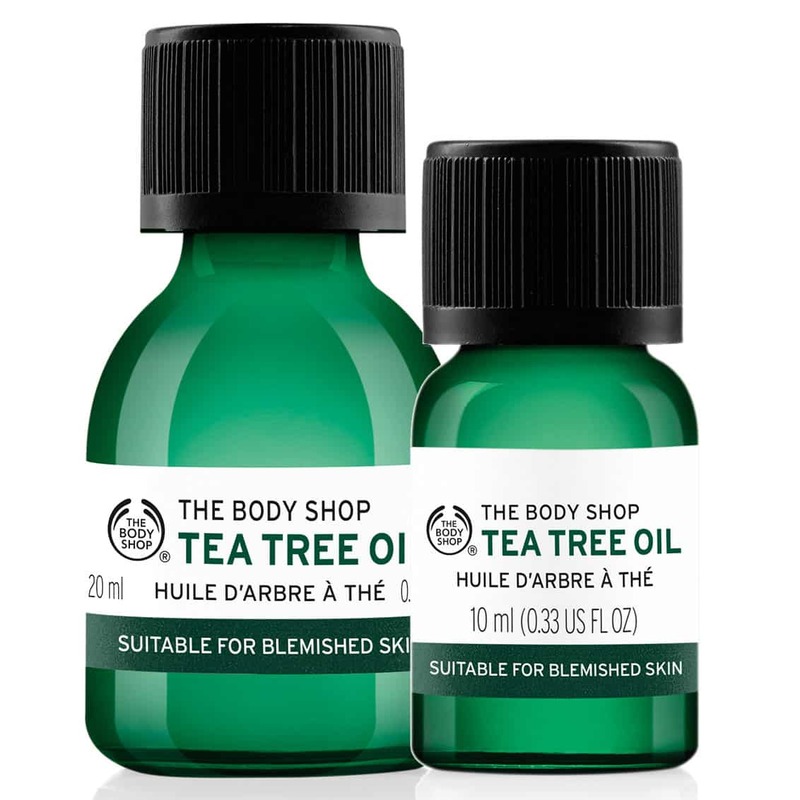 The Body Shop’s Tea Tree range is one of the longest standing blemish fighting skincare ranges in existence. I had the face wash and oil when I was 12/13 and so had countless others before me and countless others after. So let’s welcome some new additions to this timeless family. All the Tea Tree oil in the range is Community Fair Trade from The Kenya Organic Oil Farmers Association (KOOFA), a co-operative of over 550 small-scale organic farmers near Mount Kenya National Park. Not only are you doing good for your skin, but giving back to the people who helped! Launches Online and In-Store 27th July 2016. This Kaolin Clay based triple threat can be used as a twice-daily facial wash, a twice-weekly facial scrub and/or a weekly mask. Infused with skin calming Tamanu Oil and bacteria fighting Tea Tree essential oil, it leaves skin tingly and very, very clean – the grains are very fine so it makes for a deep scrub. Make sure to hydrate the skin after use despite it being very tempting to want to dry out spots, this can be counter productive – keep that surface hydrated! Tea Tree 3-in-1 Wash.Scrub.Mask. £8. The Body Shop. Aqua/Water/Eau (Solvent), Kaolin (Absorbent), Glycerin (Humectant), Propanediol (Viscosity Controlling Agent), Magnesium Aluminum Silicate (Viscosity Controlling Agent), Perlite (Absorbent), Xanthan Gum (Viscosity Controlling Agent), Cocamidopropyl Betaine (Surfactant), Sodium Laureth Sulfate (Surfactant), Decyl Glucoside (Surfactant), PEG-7 Glyceryl Cocoate (Emulsifying Agent), Alcohol Denat. (Solvent), Copernicia Cerifera Cera/Copernicia Cerifera (Carnauba) Wax/Cire de carnauba (Stabiliser/Viscosity Modifier), Phenoxyethanol (Preservative), Talc (Absorbent/Bulking Agent), Melaleuca Alternifolia Leaf Oil/Melaleuca Alternifolia (Tea Tree) Leaf Oil (Natural Additive), Cera Alba/Beeswax/Cire d’abeille (Viscosity Controlling Agent), Sodium Chloride (Viscosity Controlling Agent), Salicylic Acid (Preservative), Calophyllum Inophyllum Seed Oil (Skin Conditioning Agent), Citric Acid (pH Adjuster), Ethylhexylglycerin (Skin Conditioning Agent), Menthol (Fragrance Ingredient), Sodium Benzoate (Preservative), Disodium EDTA (Chelating Agent), Tetrasodium Pyrophosphate (Buffering Agent/Chelating Agent), Limonene (Fragrance Ingredient), Leptospermum Petersonii Oil (Fragrance Ingredient), Tocopherol (Antioxidant), CI 77891/Titanium Dioxide (Colorant), CI 77499/Iron Oxides (Colour). I’m very glad to see another blemish fighting serum on the market (I recently reviewed Clinique’s Anti Blemish Solutions latest offering here) and this one’s a good’en. 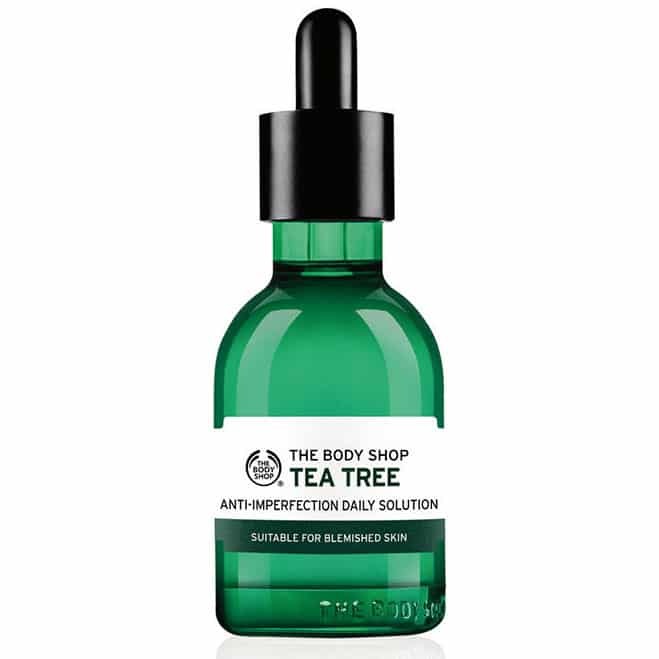 The Tea Tree Anti-Imperfection Daily Solution is actually described as a pre-serum. This is because of it’s very watery, lightweight texture that means you can then add your favourite treatment serum afterwards – blemish concerns are often secondary to photoageing, uneven skintone, dullness etc. 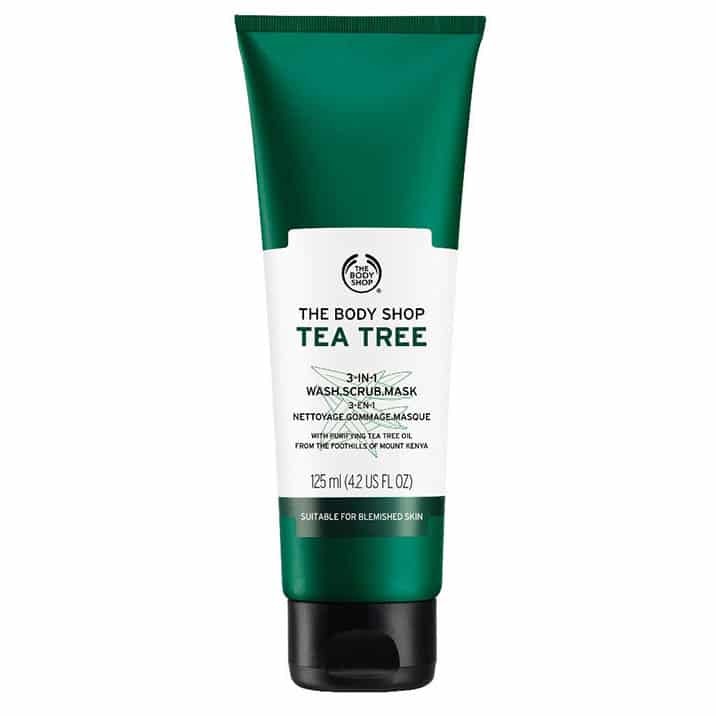 Tea Tree Anti-Imperfection Daily Solution. £11. The Body Shop. I’ve been trialing this over the last 3 days or so and have found it very refreshing. I was cautious as other than the facial and body washes, I often can react to Tea Tree but not with this! My other products then site nicely afterwards. Aggravatingly, there hasn’t been a full list of ingredients released anywhere yet. This is likely to keep what’s quite an innovative product under wraps from competitors until the big launch at the end of this month (the competing giants work quickly!). However it has a very watery texture seemingly without silicones and besides Tea Tree and Tamanu, likely contains Salicylic Acid and maybe an AHA or two. A product as old as time itself and still a favourite. This isn’t actually pure essential Tea Tree oil as if you were to apply 100% pure Tea Tree oil onto your skin, you’d know about it. Tea Tree Oil. 10ml £8 / 20ml £11. The Body Shop. Instead this is a skin-safe 15% dilute that can be applied directly onto the skin. Until the pre-serum, I always had one of these knocking about as it’s great to add a couple of drops into the palm of your hand with your favourite day or night cream, then apply to blemish-flared skin! 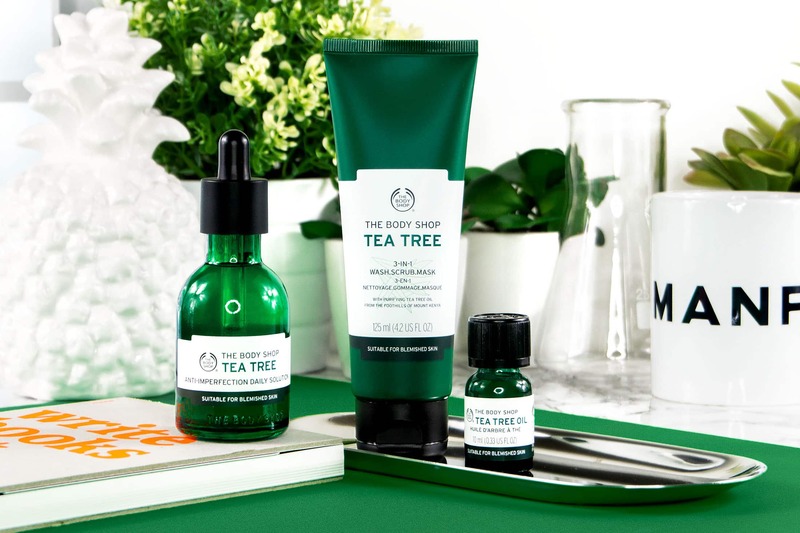 The Body Shop’s Tea Tree skincare is great for blemish-prone skin. However, I would never recommend this for skin suffering with full-blown acne (cystic, redness etc). Acne sufferers both on and off medication often have very, very sensitive skin and although these products are good, they’re pretty potent. I’m not saying not to try these products out, by all means do, but use them with caution and test for a couple of days on the side of your neck first. If in doubt, always consult your GP or derma. This article first appeared on MANFACE written by Thom Watson. It was published on Wednesday 6th July 2016 and was last updated on Monday 3rd April 2017 at 12:50pm. It's categorised under Acne, spots & blemishes, Cleanse, Mask, Serums & Treatments, The Body Shop where you'll find more related content. Do you not think the amount of tea tree oil included is too low as well as the alcohol being problematic to the skin? Not at all, anything higher than 15/20% will burn the skin if you’re not careful. Obviously some people do use a higher concentration but that’s down to the individual. In this case alcohol not only preserves but helps to dry out the Blemish, I’m not totally adverse to using alcohol in localised Blemish treatment.